We've just given our blog a facelift. When was the last time you reviewed yours? If you've been blogging for a while, you may now be bored with your blog's look. Perhaps you've been thinking about giving it a makeover. The process can be rather daunting to start, so here are some tips to help you get organized and on your way to making your blog gorgeous. 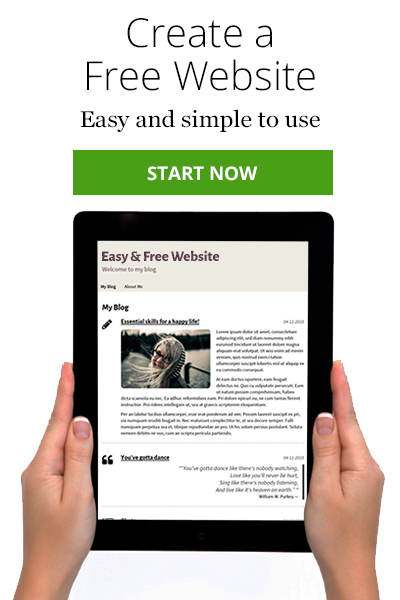 If you don't have a blog yet, you can make one here for free. And the information in this post will help you start it off right. Before you change a single thing on your current blog, take a look at other blogs and make a list of what you like and what you don't like. Did the colors of a particular blog catch your attention? Did you especially like the font on a different blog? Did you like a blog that was minimalist rather than crowded? Exactly what caught your eye? Was is easy to find what you were looking for? 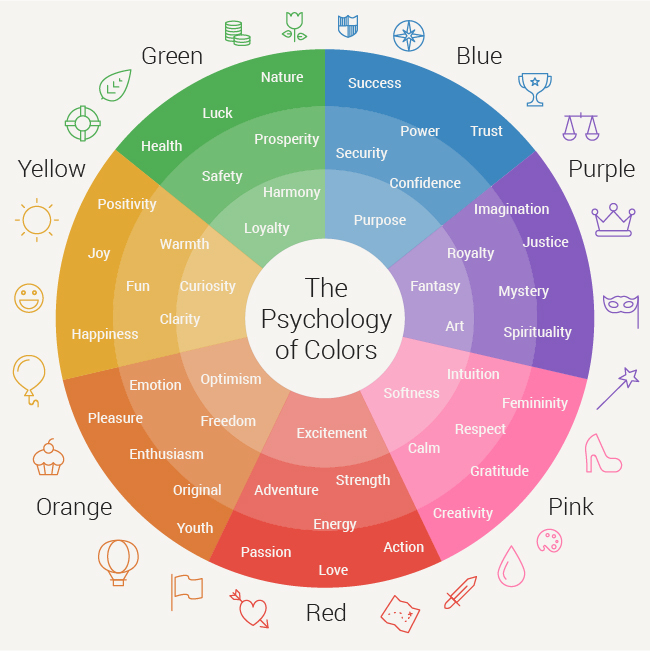 Color can affect behavior to an extent you may never have thought about. When you see a color, a series of signals instantaneously go through your brain, resulting in immediate behavior or thought – without any conscious processing. Some researchers claim that 90% of making the decision to buy a product relies on color. If you use the right colors on your blog, people will stick around longer and return more often. Choose colors that fit with the message you want to send and the audience you are targeting. Women like blue, purple, and green – but not orange, gray, or brown. So if you want to appeal to women, you know which colors to choose. If you're blogging about toys for kids, you'll want brighter colors – not black, brown, or gray. Men like blue, green, and black – but not orange, purple, or brown. If you already have a number of posts on your site, take a look at them to determine whether you could improve them. Proof your previous posts to look for misspellings, typos, and information that might need updating. Once you've been away from previous posts for a while, it's easier to find mistakes in them. On the other hand, you might read a previous post and be surprised at how insightful you were. Either way, it's good to take a look. Break up long paragraphs to make reading easier. Update the links in your old posts so that they send people to some of the posts you've published more recently. Update the links in old posts to send them to a post that expands on a point in more detail. After updating old posts, re-post them on social media – particularly the ones that had significant changes. SimpleSite users can do this via the social media bar on the right side of their website. Followers love getting a response from you after they took the time to make a comment on one of your posts. This should be done on a regular basis, but you might have missed some comments. Take a look during the renovation process to see if you missed any and respond to them – better late than never. You've already made some changes in the colors of your blog, but there are other visual elements that can enhance your blog's appeal. You have many fonts to choose from – you don't have to stick with Times. Spice it up a little. Change the color and size of the fonts. Do whatever you think will fit your audience. If you don't have images in your posts, this is the time to add some. Readers are attracted to images. Beautiful photos will make your posts stickier. If you already have images in your posts, evaluate them critically. Do they really catch your eye? If not, change them to ones that are more artistic or more visually appealing. Are you using photos that you shot yourself? Here are just a few simple tips to help you take photos that will make your blog a visual delight. Move in on your subject. Don't be afraid to get close. You might even choose to cut part of the subject's head out of the shot in order to focus on the eyes. This technique works for all kinds of subjects. Keep your background clean. A cluttered background will take attention away from the subject. If you're shooting in low light, use a tripod so that your camera can shoot slower and your subject will be sharp. Overcast days can be good. Bright sunshine gives dramatic shadows, but you don't want a shadow darkening part of your subject. Shoot on overcast days and you will have more even lighting. If you are shooting on a sunny day, be sure the sun is behind you and falling on your subject. Be careful that the shadow of you and your camera does not feature in the shot. Try an unusual angle. Get down on the ground and shoot upward. Or climb on a table and shoot downward. You can get some great visuals by changing your position. Try some of these techniques and your blog could look brand new again. 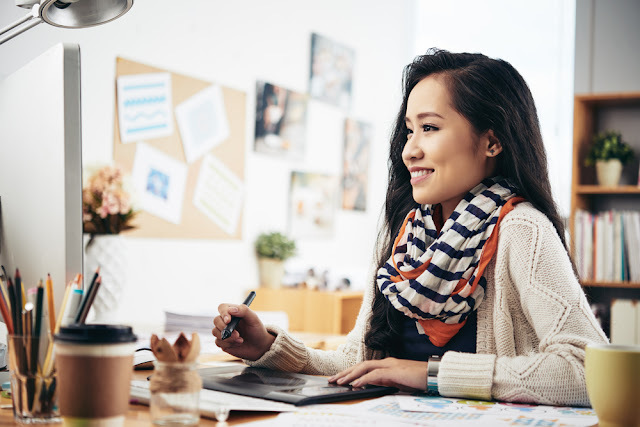 If you want to make a blog, click here to get started.